The official video for Ariana Grande‘s “breathin'” is finally here! This is the second clip for the song, with the first solely featuring her pig, Piggy Smallz. The new clip for the song shows Grande wandering through a train station and swinging through the clouds. Director Hannah Lux Davis wove in shots of the “No Tears Left to Cry” singer crooning on a pile of luggage and strutting through a foggy space in an oversized suit jacket. 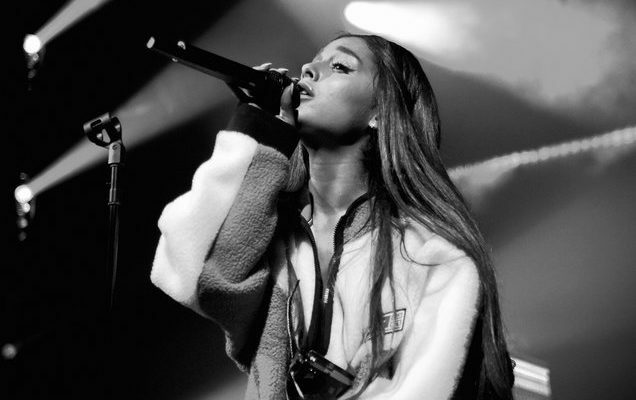 Watch the atmospheric video for the Universal Music-released “breathin'” here. The “breathin’” video arrives days after Grande released a surprise single “Thank U, Next.” She performed the song the same week on Ellen, drawing visual inspiration from The First Wives Club, one of her favorite films.